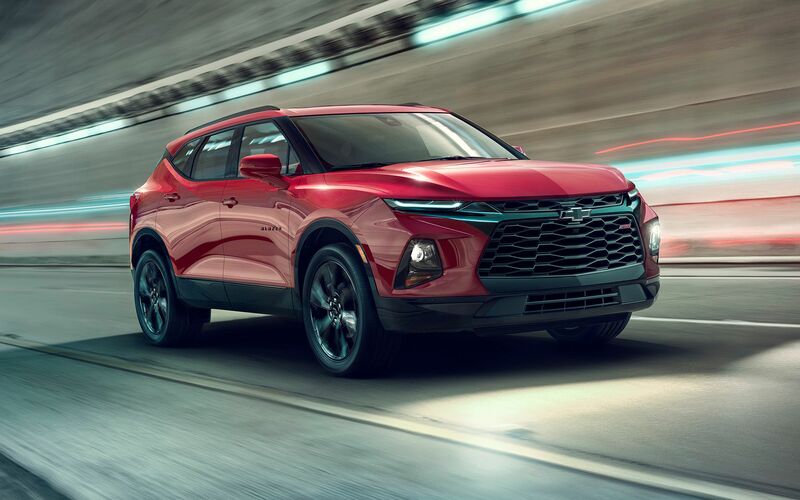 Chevrolet showed the new 2019 Blazer, and it shake up the two-row midsize SUV segment by offering a diverse set of personalities for customers who place a premium on compelling design. 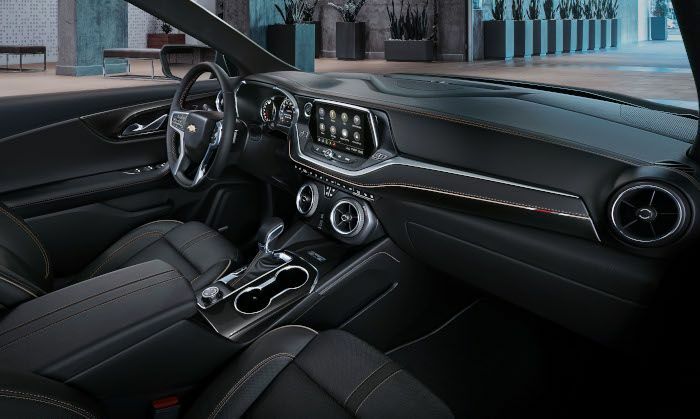 Offered in L, Blazer, RS and Premier trims, with L starting MSRP of $29,995, each trim has a unique look, with specific cues designed to suit different tastes. The Blazer joins the industry’s broadest, freshest crossover and SUV lineup since 2015 and will go on sale in early January. 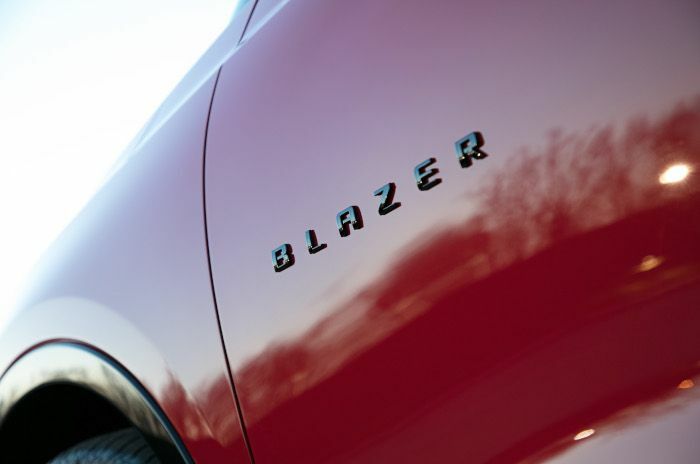 “The Blazer’s design offers customers a crossover that can exceed their needs, matching their unique personality,” said Steve Majoros, Chevrolet marketing director for Cars and Crossovers. 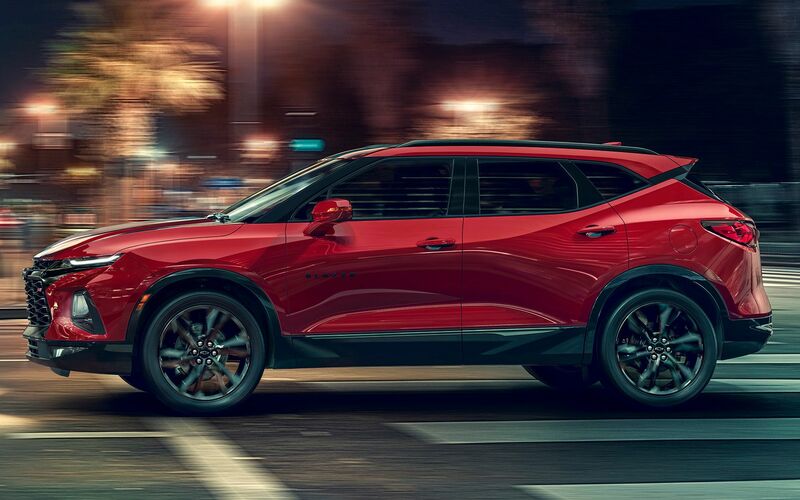 “Blazer sets a new design language for Chevy’s crossover family and extends our momentum into one of the industry’s fastest-growing segments.” The new Blazer is the boldest, most progressive expression of Chevrolet design. A wide stance, tight proportions and dramatic sculpting define the model, with the diverse trim range complementing the Blazer’s versatility with choices for varied lifestyles and personal preferences. 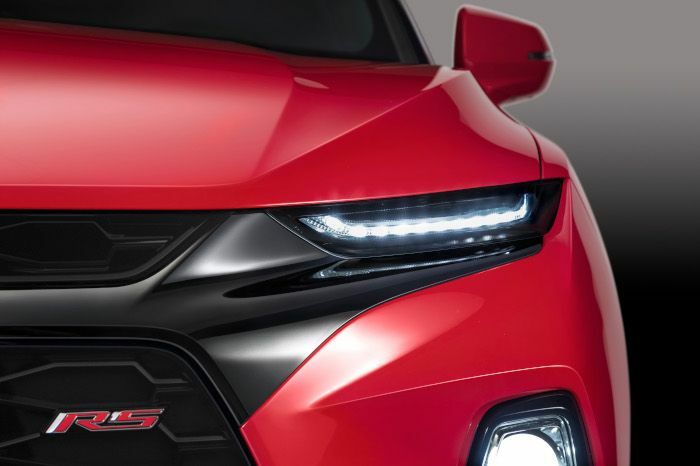 The RS model’s blacked-out features, for example, deliver a sporty, street-inspired look, while the additional chrome on the Premier delivers a more upscale appearance. All of the trim levels are well-contented, with a strong roster of standard features. Chevrolet infotainment system with 8-inch diagonal color touchscreen. - 4G LTE with available Wi-Fi® Hotspot2 (includes 3GB/one-month data trial). 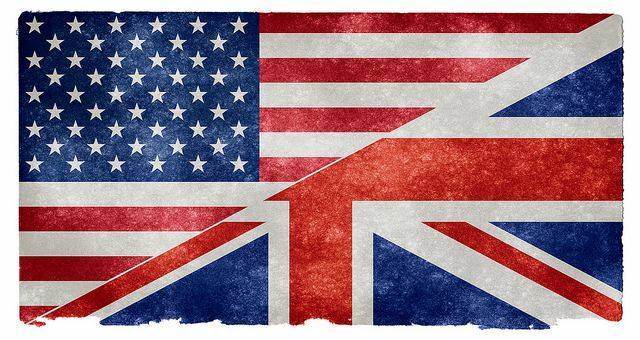 - Apple CarPlay3 and Android Auto4 compatibility. - Electronic locking glove box. - Keyless Open and Start. - Teen Driver. - Rear Seat Reminder5. - HD Rear Vision Camera6. - Dual-zone automatic climate control with rear vents. - Heated, power-adjustable outside mirrors. - Traction Mode Select. - Adjustable rear sliding seat. - Six-way manual driver seat. - Five-passenger seating with 60/40-split second row. - 18-inch wheels and tires. 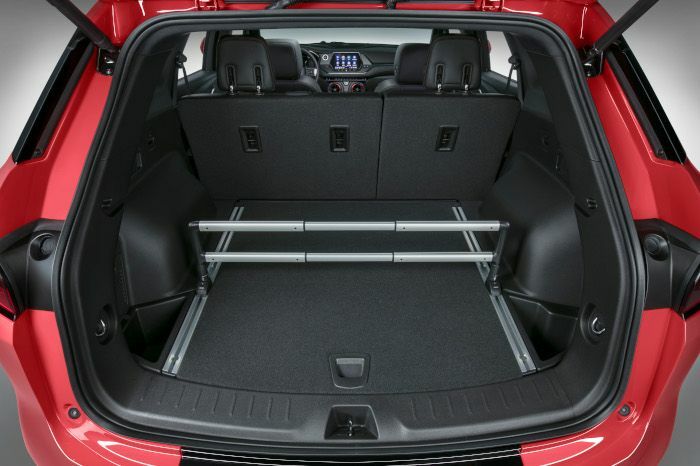 - Up to 64.2 cubic feet (1,818 L) of max cargo space with the second row folded flat. 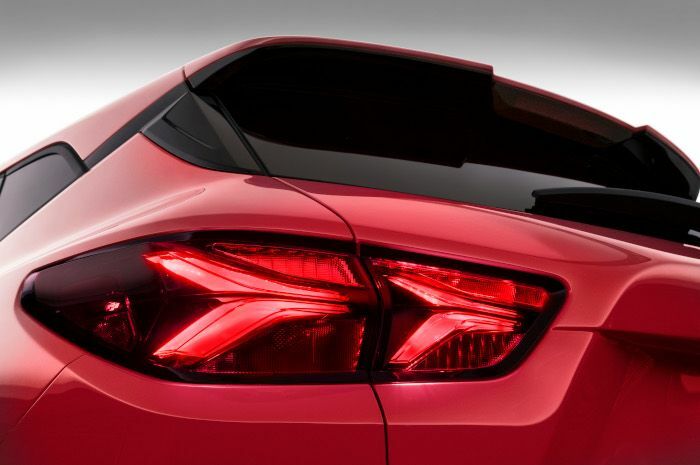 Panoramic dual-pane power sunroof. - Advanced twin-clutch AWD system. - Hitch View for trailering that helps the driver align the hitch with the trailer6. - Automatic heated steering wheel. - Automatic heated/ventilated front seats. - Heated outboard rear seats. - Rear Camera Mirror6. - Adaptive Cruise Control-Advanced6. - Suite of active safety features. - Wireless charging. - Up to six USB ports. - Hands-free power liftgate with Chevrolet bowtie logo. - Chevy-first cargo management system.